Edge Tech Academy has a 21st-century software curriculum that prepares students for their first professional job in coding. The course takes a holistic approach to programming: database design, programming languages, and frameworks that combine to make complete functioning software. The course is approximately 8 months (4 hours per day, 5 days per week) and equips students with a portfolio of project examples, as well as a resume that is developed to stand out to share with potential employers. Graduates will be ready to demonstrate ready-to-work skills, with minimal lag time to begin contributing to an employer's needs. 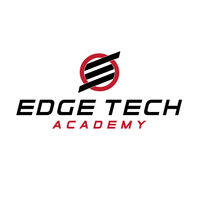 Edge Tech Academy is a Dallas/Fort Worth-based career training school with a new technical curriculum designed by instructors with vast experience as programmers, operated the educational leadership experience of Ancora Education. Their focus is to see students gainfully employed utilizing their computer programming skills as the career services department works to assist students in finding and qualifying for the right opportunities to get their new career started. Approved by the U.S. Department of Education. Financial Aid is available to those who qualify! A variety of Scholarships are available to those who qualify. Any other information you'd like to share with Edge Tech Academy from Edge Tech Academy? By submitting, I acknowledge that my information will be shared with Edge Tech Academy. An email with these details has been sent to Edge Tech Academy. You've already applied to this scholarship with Edge Tech Academy.